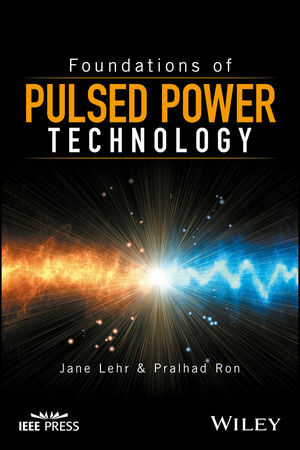 Foundations of Pulsed Power Technology will be an invaluable companion for professionals working in the fields of relativistic electron beams, intense bursts of light and heavy ions, flash X-ray systems, pulsed high magnetic fields, ultra-wide band electromagnetics, nuclear electromagnetic pulse simulation, high density fusion plasma, and high energy- rate metal forming techniques. Jane Lehr is a Professor of Electrical and Computer Engineering at the University of New Mexico. Prior positions were at Sandia National Laboratories and the Air Force Research Laboratory's Directed Energy Directorate. She is a Fellow of the IEEE, past President of the IEEE Nuclear and Plasma Sciences Society, and currently serves as their Society Fellow Evaluation Chair. Pralhad Ron, PhD, is a scientist from the Bhabha Atomic Research Center (BARC), India. He retired as Head, Accelerator and Pulsed Power Division (APPD) of BARC. He served as Chairman, Steering Committee on Electron Beam Center, Kharghar, New Bombay, and Chairman, Safety Review Committee on Particle Accelerators in India constituted by the Atomic Energy Regulatory Board (AERB).